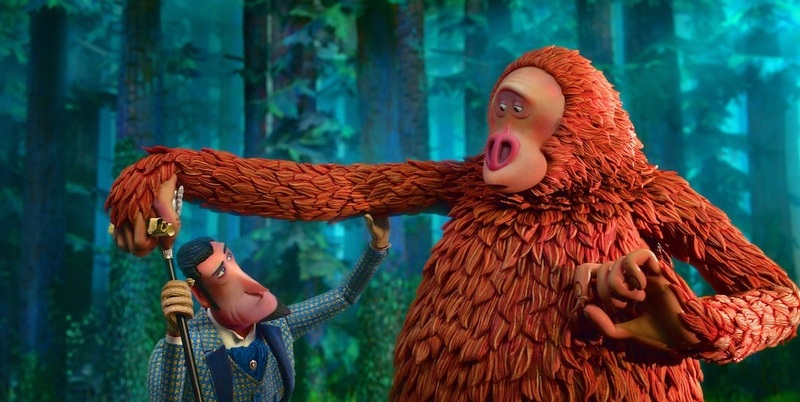 Much like Bigfoot himself, Missing Link failed to leave much of a footprint at the box office this weekend, opening in ninth place, Box Office Mojo is reporting. It was the worst debut that stop-motion animation studio Laika has seen to date, grossing just $5.8 million according to studio estimates. Prior to the weekend, tracking didn’t have Missing Link faring very well, with projections indicating it would open anywhere from $10 million to $16 million. Unfortunately, the film failed to even reach those modest projections. Missing Link’s numbers are very similar to those of Early Man, which opened to $3 million back in February 2018. Ultimately, stop-motion animation can be a tough sell to mainstream audiences, but Missing Link’s incredibly low numbers are still surprising regardless, especially with the fanboy-friendly Laika brand name involved. Laika got their big break producing the animation for Tim Burton’s Corpse Bride, though in that film’s case they were serving as a studio-for-hire. Their first in-house feature–and by far their biggest hit–was 2009’s Coraline, a leggy word-of-mouth wonder that made $75 million in the the states, making it the second-highest grossing stop-motion animated film ever, behind only 2000’s Chicken Run. In Coraline’s case, though, Laika had the benefit of producing a movie similar to The Nightmare Before Christmas (it even had the same director, Henry Selick), which made it an easy sell, and ParaNorman rode off of its success using similar horror themes to a healthy gross of $56 million. The studio got weirder with The Boxtrolls and dazzled critics with Kubo and the Two Strings, but both of those films saw lower grosses financially despite their positive reception. 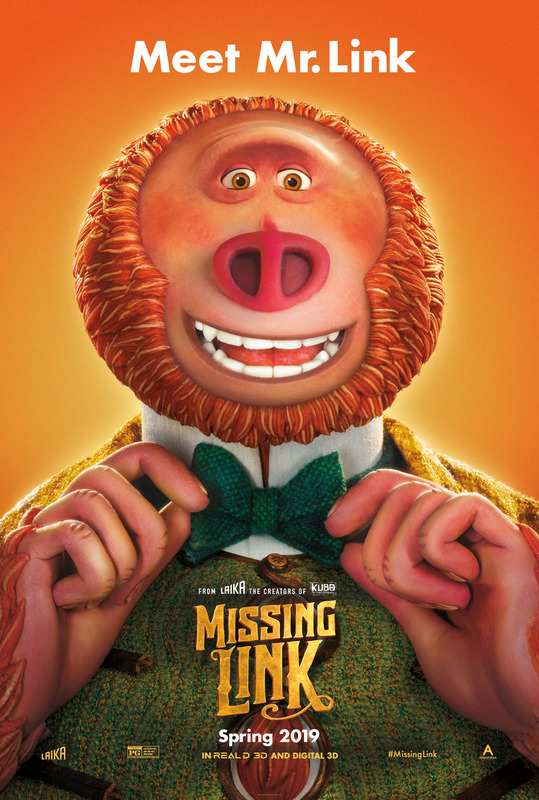 Missing Link represented something of a change of pace for the studio, as it was their first all-out comedy, with humor in the trailers that would not be out of place in an Aardman movie. It was also a release from the struggling United Artists rather than Focus Features (which has distributed the majority of Laika’s films), but to UA’s credit, they made sure that previews for Missing Link were attached to numerous box office hits, including Aquaman, How to Train Your Dragon: The Hidden World and Captain Marvel. Previews made it evident that Missing Link wasn’t a horror film like Coraline or an intense adventure like Kubo, emphasizing the movie’s charm factor instead along with the witty banter between Hugh Jackman (sounding delightfully “pompous” here) and Zach Galifianakis. In the end, though, it wasn’t enough, and the film will likely struggle to even meet the $10 million mark, much less its production budget which, though unreported, was probably around the $60 million range if its similar at all to Laika’s previous films in that regard. Of course, Missing Link was facing strong competition for the family market with Shazam!, which lead the box office for the second weekend in a row with $25 million. The superhero comedy continued to benefit from strong word-of-mouth an an appealing marketing campaign, and now has a total of $94 million. As an aside, it didn’t see itself lose much of its business to the R-rated Hellboy reboot, which got sent to H-E-double-hockey stick by critics and appeared to be something not many fans were asking for. Elsewhere, Dumbo continued to gradually fly towards the $100 million mark, even though it now seems that its success was largely trunk-ated into its opening weekend, as it hasn’t been particularly leggy. So far Dumbo has a total of $89 million against a reported $170 million, but if Disney can afford to buy Fox for more than $70 billion, they should be able to take a slight loss on a big-earred elephant without too many alarms going off. Dumbo has a global tally of $266 million. Finally, Captain Marvel continues to be a crowd-pleasing success, and has $386 million in the bank so far. It should make around $400 million or so when all is said and done. Next week sees the release of Disney’s nature doucmentary Penguins as the box office holds its breath for the juggernaut that is Avengers: Endgame on April 26th. Tracking indicates it could see the biggest opening weekend of all time.